There’s something special about giving your loved ones handcrafted, homemade gifts during the holidays. But, the holidays are a busy season and making something homemade can take a lot of time and effort. A simple solution would be to buy a gift card but we have some quick and easy homemade gift ideas you can put together in a pinch. Your friends and family will love them! This is a gift that is perfect for those who aren’t the best at keeping plants alive but enjoy having them around. A Green Thumb Box (or terrarium) is a collection of low-maintenance indoor plants. Simple to make and maintain, terrariums can spruce up any desk! They evoke a peaceful sense of nature in the middle of a hectic office. To make this gift, start with a medium sized container, such as a glass globe or bowl, to house the terrarium. Pour a layer of rocks or pebbles in the base of the globe then follow it up with a thin layer of activated charcoal (just enough to cover the rocks). Next, add some well-draining soil, then place your plants and secure with additional soil if needed. Accessorize with moss, rocks or small figurines for a personalized touch. This gift is perfect for the beer connoisseur in the family! A Beer Lover’s Bucket can be customized to any style and flavor preference. Buckets can be any size, shape or color. Customize the bucket to your recipient’s personality for an even more unique gift idea (i.e. favorite sports team logo or brand of beer, a portable cooler or even a wicker basket). Pad the bottom of the bucket with items such as a bag of peanuts, pretzels, or popcorn. 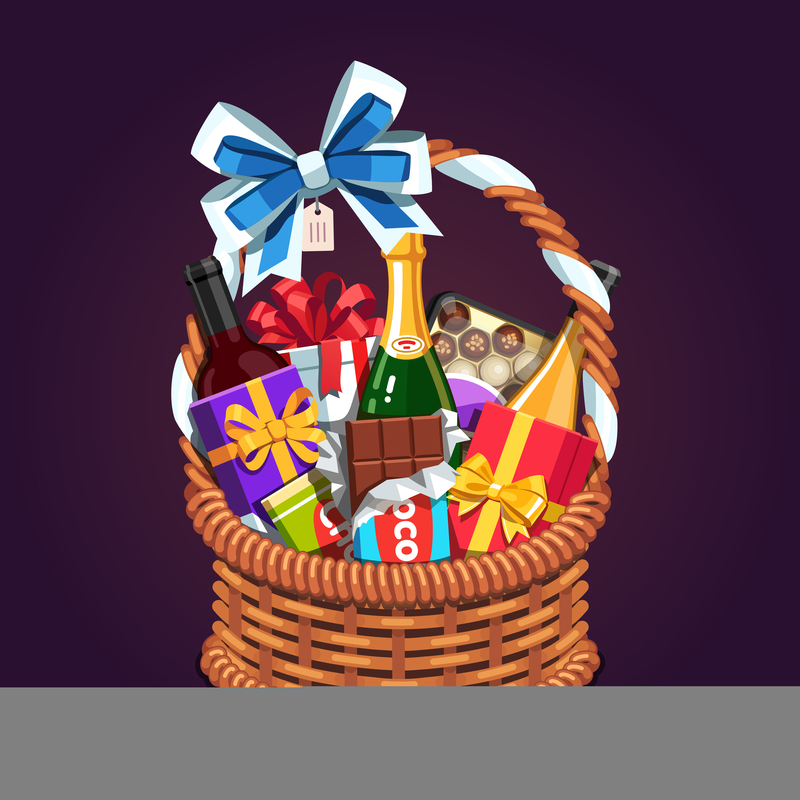 Add in a variety of bottled or can beer then accessorize the basket with trinkets such as a bottle opener, bottle koozie, pint glasses and beef jerky. For the gift that keeps on giving, you can also give your loved one a 64 ounce growler from The Half Wall! Growlers are available for purchase at our FL-44 New Smyrna Beach and Port Orange locations. For a delicious homemade gift, give your friends or family “Italy in a basket” this holiday season. This gift will provide them with everything they need for a flavorful home-cooked Italian meal. A picnic basket is a perfect container. Add in a variety of pasta noodles, a jar or two of tomato, meat or alfredo sauce and some homemade infused olive oil. As a final touch, accessorize your basket with a fresh baguette and bottle of wine. Your friends now have a gourmet Italian meal! There’s nothing better than treating your sweet tooth during the holidays and this gift will put a smile on anyone’s face. Fill this dessert-lover’s basket with sweet treats your friends and family can enjoy throughout the season. A great addition to the basket is this quick and easy mason jar banana bread. After baking your bread, you can customize the jar with holiday ribbon, decorative stickers or fabric and the recipe for the bread. Surround the jar with baked good items such as cake mixes, homemade cookies or brownies and chocolates. Finish accessorizing with a variety of baking utensils, recipe cards or an apron. This irresistible basket will make gift giving even sweeter! For those busy friends and family members who find it difficult to go to the movie theatre, you can make it easy for them to have a fun movie night with this simple gift basket! Movie Night in a Tin gives them everything they need to enjoy a night in front of the big screen! A tin basket or popcorn bowl make great containers. Line the container with a bag of candy, shredded paper or tissue paper. And, what’s a movie night without snacks? Throw in some classic movie theatre candy, popcorn and sodas and they’ll have everything needed for an awesome movie night. Top your custom basket off with a hand-picked movie or Google Play or Redbox gift cards for a cozy movie-night at home! Share the joy this holiday season and give a homemade gift to show your loved ones you truly care! And while you are at it, spend time with them over great food and drinks at any one of our Half Wall locations!